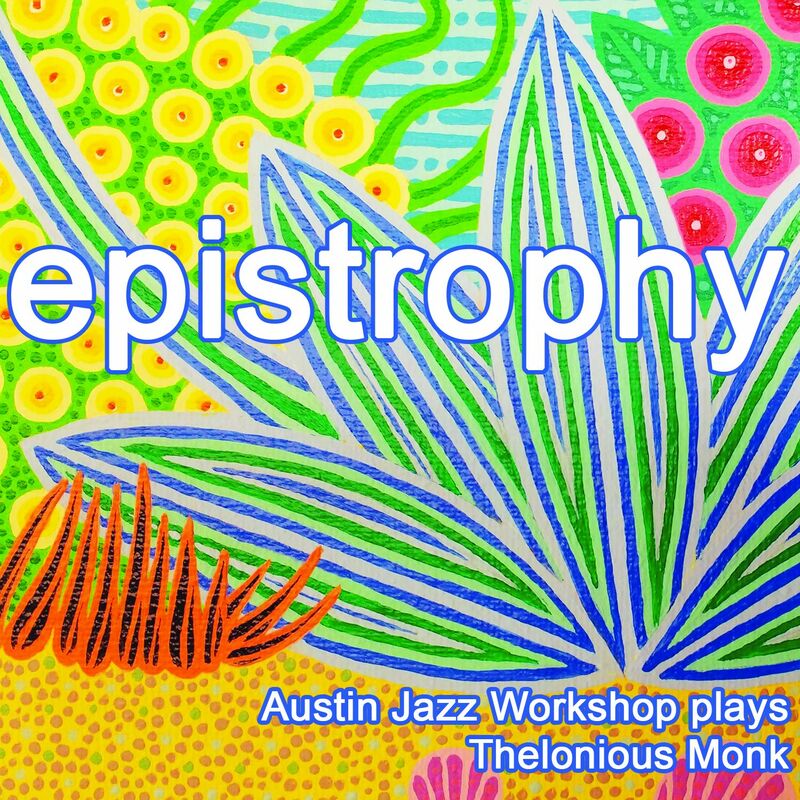 The Austin Jazz Workshop can save you money on your taxes? Charitable donations of stocks and mutual funds can be made directly to the Austin Jazz Workshop, thereby avoiding capital gains tax. Help out a good cause and lower your tax burden at the same time! For more information, contact Michael Melinger at 512-829-7255 or ausjazz@gmail.com. The Birth of Bebop! The AJW celebrates a quarter-century of school performances with a special look at the beginnings of Bebop, featuring compositions by Charlie Parker and Dizzy Gillespie. Musicians include Floyd Domino, Shawn Ellison, Michael Stevens, Glenn Rexach, Masumi Jones, Kenny Felton, Noé Mina, Jimmy Shortell, and Michael Melinger. High-energy fun coming your way! 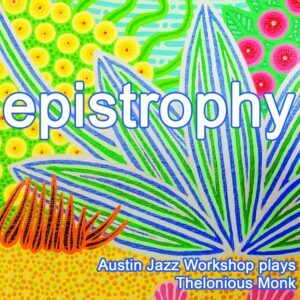 Epistrophy: Austin Jazz Workshop plays Thelonious Monk is our latest CD recording, released in April 2017! Recorded at Arlyn Studios in Austin TX, the disc features Michael Melinger, Andre Hayward, Floyd Domino, Michael Stevens, and Norm Bergeron. Pick up your copy here . Also available at Waterloo Records, End of an Ear, and live appearances by the AJW. 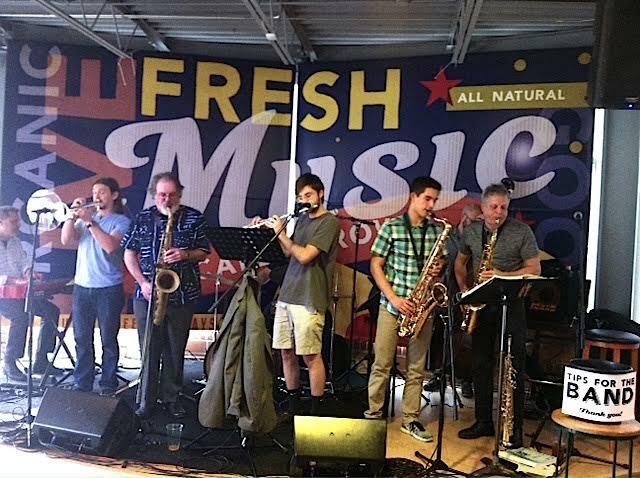 EMJATA (Emerging Jazz Talent) is a series of live performance opportunities featuring talented young people sitting in with members of the Austin Jazz Workshop in a jam session setting. You can catch EMJATA twice per month: at Cherrywood Coffeehouse on 3rd Sundays, and at Central Market Cafe Westgate on the final Sunday of each month. Visit the Schedule tab or scroll down to view calendar dates, and plan to join us for great cookin’ in the kitchen and on the bandstand! And remember that EMJATA continues through the summer months as well. You can stay abreast of all things AJW by visiting us on Facebook! Did you know that you can donate to the AJW simply by shopping Amazon? It’s true! When ordering, point your browser to https://smile.amazon.com and specify the Austin Jazz Workshop as your chosen recipient charity. We will get a portion of every dollar you spend, donated by Amazon! Part of our mission is to collaborate with student ensembles and other nonprofit groups on public events, as well as events for the general community. 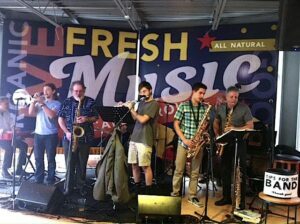 The Austin Jazz Workshop offers reduced rates to nonprofit agencies in the Austin area for your benefits, fundraisers, and special events. 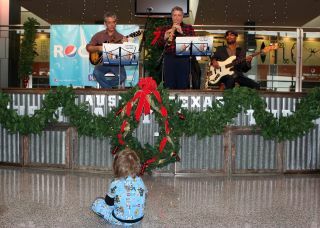 It’s cheaper than you think to have top professionals provide live music for your organization! Contact us for a quote at (512) 829-7255. Threadgills 09/16/18 11:00 a.m. to 1:00 p.m.
Central Market 09/23/18 noon to 3:00 p.m.
Central Market 10/28/18 noon to 3:00 p.m.
Cherrywood Coffeehouse 11/18/2018 2:00 p.m. to 4:00 p.m.
Central Market 11/25/18 noon to 3:00 p.m.
Cherrywood Coffeehouse 12/16/2018 2:00 p.m. to 4:00 p.m.
Central Market 12/30/18 noon to 3:00 p.m.
Central Market 1/27/19 noon to 3:00 p.m.
Cherrywood Coffeehouse 2/17/2019 2:00 p.m. to 4:00 p.m.
Central Market 2/24/19 noon to 3:00 p.m.
Blanton Museum Teacher Tonic 2/27/2019 5:15 p.m. to 6:00 p.m.
Cherrywood Coffeehouse 3/17/2019 2:00 p.m. to 4:00 p.m.
Central Market 3/31/19 noon to 3:00 p.m.
AISD PAC 4th Annual AJW/AISD Jazz Jubilee 4/7/2019 5:30 p.m. to 7:00 p.m.
Joe’s Crab Shack/Round Rock hosts AJW Silent Auction 4/27/19 noon to 4:00 p.m.
Cherrywood Coffeehouse 4/21/2019 2:00 p.m. to 4:00 p.m.
Central Market 4/28/19 noon to 3:00 p.m.
TX Community Music Festival 5/4/19 4:00 p.m. to 5:00 p.m.
Cherrywood Coffeehouse 5/19/2019 2:00 p.m. to 4:00 p.m.
Central Market 5/276/19 noon to 3:00 p.m.
Cherrywood Coffeehouse 6/16/2019 2:00 p.m. to 4:00 p.m.
Central Market 6/30/19 noon to 3:00 p.m.
Cherrywood Coffeehouse 7/21/2019 2:00 p.m. to 4:00 p.m.
Central Market 7/28/19 noon to 3:00 p.m.
Cherrywood Coffeehouse 8/18/2019 2:00 p.m. to 4:00 p.m.
Central Market 8/25/19 noon to 3:00 p.m.
Cherrywood Coffeehouse 9/15/2019 2:00 p.m. to 4:00 p.m.
Central Market 9/29/19 noon to 3:00 p.m.
AJW Trio (from left: Glenn Rexach on guitar, Michael Melinger on soprano sax, Michael Stevens on bass) performs for a young listener at Austin Bergstrom Airport’s Winter Festival, 12.21.2011. 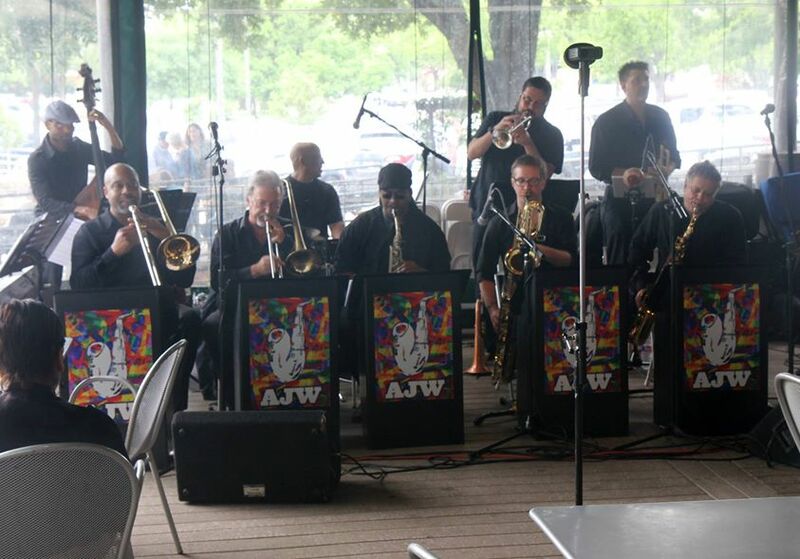 AJW Count Basie Edition, Texas Community Music Festival 4.18.2015 Front row, from left: David Webb (not visible), Andre Hayward, Ken George, Marcus Wilcher, Seth Carper, Michael Melinger. Back row, from left: Michael Stevens, Kevin Scott, Adrian Ruiz, Keith Fiala. 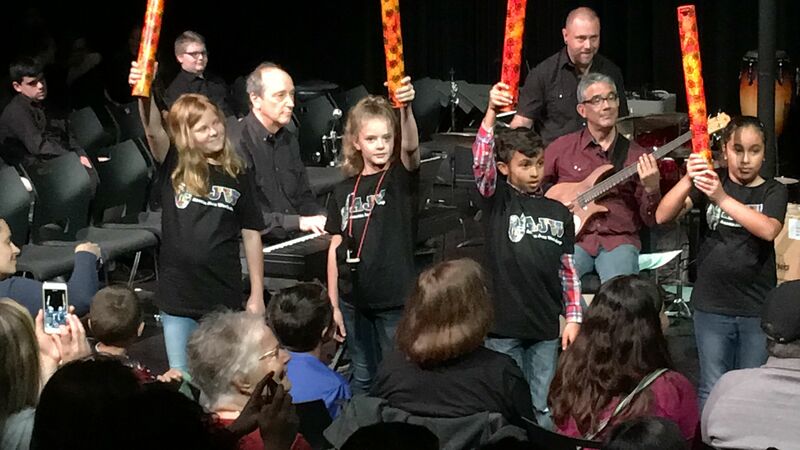 The Austin Jazz Workshop wrapped up its historic 21st season on May 29th, 2015. The program featured musicians Shawn Ellison, Floyd Domino, Michael Stevens, Glenn Rexach, Kevin Scott, Rob Kazenel, Jimmy Shortell, Adrian Ruiz, Keith Fiala, Michael Rey, Andre Hayward, Randy Zimmerman, Ken George, Mark ‘Speedy’ Gonzales, Seth Carper, Dan Torosian, Scott Benner, Marcus Wilcher, David Webb, and Michael Melinger. One hundred nineteen campuses across five school districts received the program that featured a ten-piece big band playing Count Basie classics. Additionally, the AJW performed seventeen public events, such as the one at Central Market pictured above.